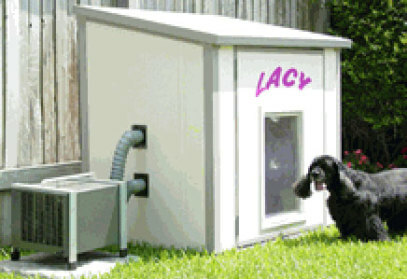 The PETCool Therm-ASSURE system attached to Lacy's house offers year-round comfort for her as she can have air conditioning in the summer and heat in the winter. Lucky Lacy! 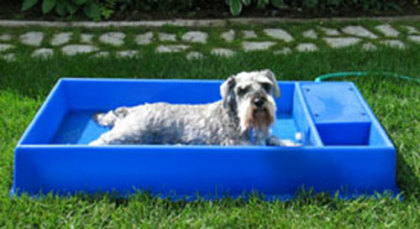 PETCool systems start at about $379 and are available from several vendors who, right now, seem to have the product on backorder. Think it's the dog days of summer? It riles my wings that so many products that are marketed for dogs are just as relevant and appropriate for cats. Nevertheless, the PETCool Systems also works well for cats, who may have a special room without installed climate control. 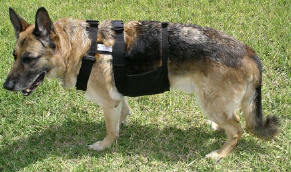 Meandering dogs and cats need water often in the summer. And what better place to get it than right from the tap? 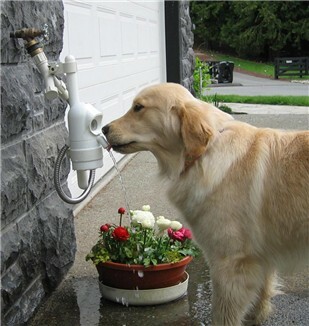 The WaterDog Outdoor Pet Waterer, by Contech, senses when your pet is nearby and releases fresh water from the faucet. Again, despite the name "WaterDog," this item is perfect for cats who won't drink anything unless it's streaming or in the toilet! especially that temperature-controlled house. However, I don't like the one "without climate control" for cats--cats like to be warm and would appreciate the heat more than a dog. Maybe the cat one should have some artificial sun rays for basking. Dogs can sustend heat better than us, today's city people. Just provide them with a good shade and plenty of water, they will do fine. I don't think they will feel comfortable when you make them wear strange stuff on them. It is NOT An "overkill"
Dogs don't sweat so have to pant to try to keep cool. I'd argue that it is MORE difficult for them to keep cool and that the A/C is a good idea, as well as the heat for winter. Dogs really shouldn't be tied outside to a dog box 24/7, but if they have a temperature-controlled living area, that would be more tolerable.